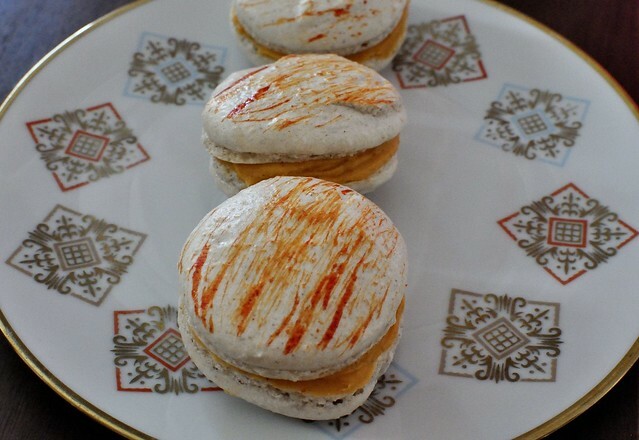 While Thanksgiving is now past us it is still the season of pumpkin still here and these macarons are the perfect thing to make to enjoy that pumpkin-y goodness. I decided to make these for a friendsgiving my friends were having the day after thanksgiving. 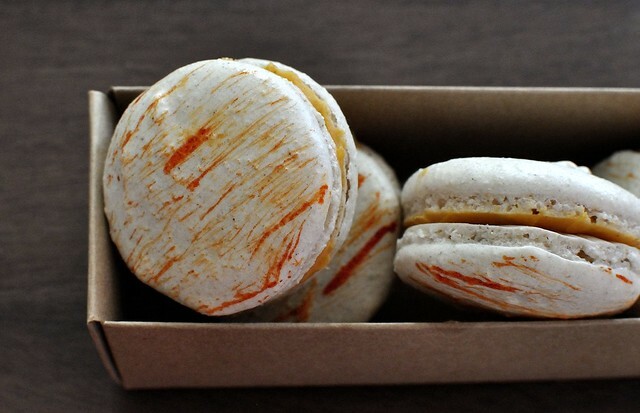 I though everyone would be sick of pie but these are the perfect pumpkin treat with out being too overwhelming but still tasting like everyone’s favorite autumn treat. For the brush lines that I did, I combined red and yellow liquid food coloring and used a silicon basting brush. Instead of using a real brush using the silicon brush gives you a interesting variation. I swiped the brush back a few times to get an affect I wanted. You can do whatever you want or just not decorate the top. 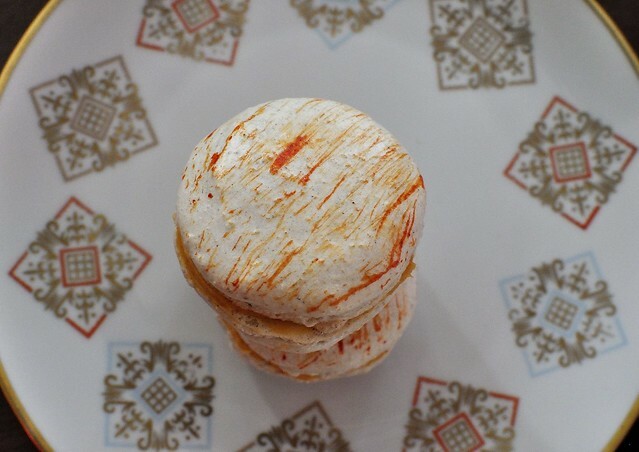 Recipe from Brave Tart’s Macaron Recipe check out her recipe for the full detailed instructions and tips. My below info is only of the ingredients required and my small modification. As her recipe is so great and practically full proof I don’t want to lead anyone astray with less than stellar directions. Follow the Brave Tart recipe all the way through to the point where you add in food coloring or other additives this is when you should add in the Ground Cinnamon and Nutmeg. I suggest sifting it first for the best incorporation. I adapted this recipe to not need to use a microwave since I just don’t have one… but I included the original instructions as well. Combine the white chocolate and butter in either a microwave safe container (or as I did in a metal bowl that fits over my stock pot which I was using as a double boiler). Gently melt the white chocolate and butter together in 15 second bursts if using the microwave stirring after each burst or over lightly boiling water if doing this double boiler style. The result should be slightly warm and homogenous. Put the ganache in the refrigerator to firm up for at least 4 hours or overnight if possible. 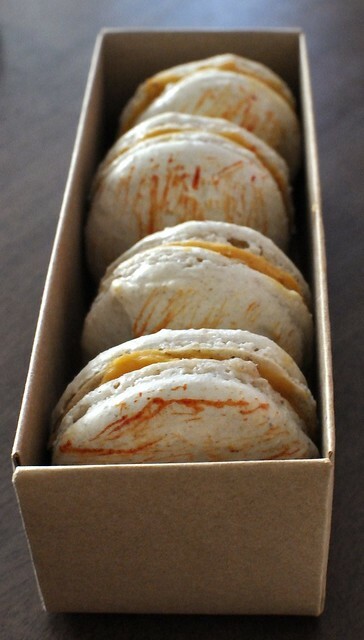 The pumpkin ganache will keep fresh in the fridge for a week.